Last season, I didn’t play well in the final game of my ice hockey playoff run. This season, we lost in the second round, but it was by a fluke bounce. After the goal was scored, I didn’t have a heavy heart or regrets about the way I played. I did well enough to win that game. Both teams played solid, and it is just fitting that it all came down to a fluke bounce that won the game for them by a score of 4-3 in OT. Overall, as I said before, I played solid. We nabbed a 2-0 lead, and I was confident turning shots away and swallowing up a lot of rebounds. The first goal I let in I was sitting back too far in my net but the guy had time to pick his corner to cut the lead 2-1. The second period neither team could score, but the third period was wild. They scored on a breakaway to tie the time. We scored off a rebound to take the lead again. They scored off a wild play to tie it 3-3. One of our guys tried to clear the puck, but it went off one of their players and he passed it over to a wide open guy on the other side who put it home. The OT winner was fluky. It went off 2 guys to a wide open guy who had the whole net to shoot at since I was out taking the original shooter. After the goal was scored, I felt no regret. No bad feelings like I felt last time. I congratulated my team. It was a good season. Not as successful as I would like it to be. However, it was successful. So what next? We will be back next season so I am pretty happy about that. 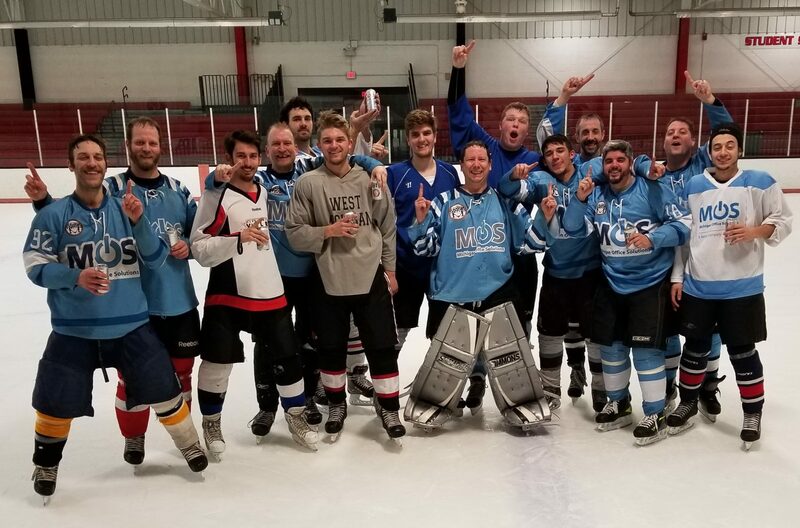 Another shot at a championship in ice hockey is what a I want. In the meantime, Who Cares in Aluminum looks to be solid and my best chance to lift another trophy come October. Thats my goal.